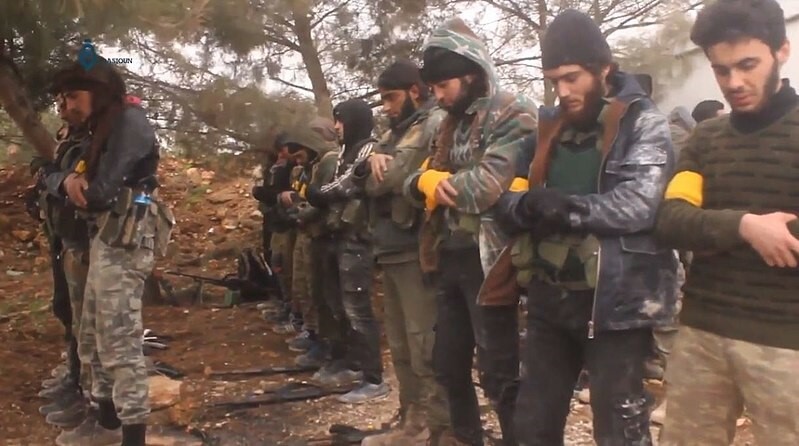 Home > Talking Kurdistan > AFRIN: NEW ISIS CAPITAL ON THE WAY – VIA TURKEY? Since Turkey gained control of the Afrin Region of Rojava following its entry to Afrin City on March 18 after 58 days resistance by the Kurdish YPG and its allies, concern has continued to grow about the fate of the region. Turkey’s use of proxy armies of Islamist militia is obviously part of what is fueling concern by the Kurdish administration who have fought a long, difficult and costly battle with ISIS/DAESH for Kurdish control of its own region. Patrick Cockburn: there is “strong evidence for a degree of collaboration” between the Turkish intelligence services and ISIL, although the “exact nature of the relationship … remains cloudy”. David L. Phillips of Columbia University’s Institute for the Study of Human Rights, “who compiled a list of allegations and claims accusing Turkey of assisting ISIL, writes that these allegations ‘range from military cooperation and weapons transfers to logistical support, financial assistance, and the provision of medical services’”. 1 most of the oil produced in Islamic State-held territory in Iraq and Syria was being smuggled through Turkey. 2 He also mentioned that he sees no evidence that Turkey wants to fight ISIS. 3 In addition he told that Turkey wants to revive the Ottoman Empire. Israel’s defence minister, Moshe Ya’alon, has accused Turkey “of buying oil from the ISIS and funds ISIS militants. He, also, said that Turkey had ‘permitted jihadists to move from Europe to Syria and Iraq and back’”. Vice President of the USA at that time, Joe Biden, during a speech at Harvard accused “Turkey and the Gulf countries of funding, supplying and supporting ISIL”. Donald Trump has also been known to accuse Turkey of supporting ISIS. A senior Jordanian security official (anonymously) accused Turkey “of training ISIS fighters”. The King of Jordan, Abdullah, said that the Turkish president, Recep Tayyip Erdoğan: “…believes in a radical Islamic solution to the problems in the region and the “fact that terrorists are going to Europe is part of Turkish policy, and Turkey keeps getting a slap on the hand, but they get off the hook”. Cypriot Foreign Minister Ioannis Kasoulidis, questioned “Turkey’s determination to fight ISIS”. Syria’s president Bashar al-Assad during an interview in 2015 mentioned “’that military and logistic support from Turkey was the key factor in ISIL takeover of Idlib’…he also blamed Turkey for the failure of a humanitarian ceasefire plan in Aleppo. He told that: ‘The Turks told the factions – the terrorists that they support and they supervise – to refuse to cooperate with de Mistura’”. With this amount of allegations and from so many quarters, is it any wonder that the exiled Afrin administration has serious concerns about developments in Afrin now that it has been settled by Turkey and its Islamist proxies? Rebelles de l’Armée syrienne libre lors de l’offensive d’Afrine contre les Kurdes des YPG, 25 janvier 2018. Is Turkey Buying ISIS Oil?